Are you a Bloody Mary fanatic? Never fear—our Baconfest sponsors have you covered! At all three Baconfest 2018 sessions, hometown fave Cicero Beverage Co. is teaming up with two incredible vodkas to offer a customizable Bloody Mary bar! 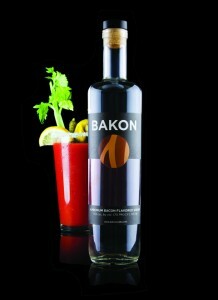 First, pick your Cicero Beverage Bloody Mary mix: bacon flavored or classic! 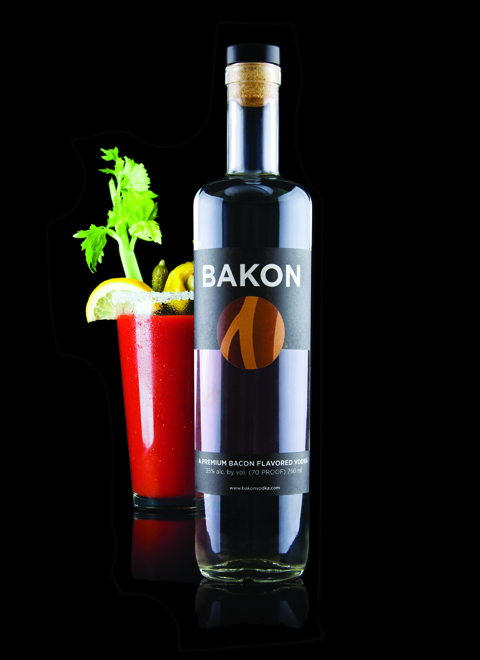 Then, pick your vodka—BAKON is the only Bakon flavored vodka to earn the endorsement of Baconfest Chicago and is the perfect match for the classic CBC Bloody Mary Mix. Ceres Vodka is your other option – made in Logan Square by the distilling geniuses of Chicago Distilling Company – it pairs beautifully with CBC’s Bacon Bloody Mary Mix. Garnish away and enjoy! Cicero Beverage Co. is a Chicago based, women owned company specializing in unique flavored Bloody Mary Mixes and Craft Sodas. Our love of bacon has led us to create the first 3x Award Winning Bloody Mary Mix made with REAL BACON, as well as a Candied Bacon Cream Soda, a rich cream soda with a smoky maple finish. We have a passion for creating fun beverages that take a unique spin on already favorite flavors. Other notable products include our 6x Award Winning Salted Caramel Root Beer, and Chocolate Hazelnut Sodas. Our products can be found across the US at various retailers including Cost Plus World Market and select Chicagoland Target Stores. We started out testing various infusions in our kitchen in the fall of 2007. We wanted to do it right, to create a premium-quality vodka you’d enjoy drinking. To match an infusion, we tested recipes for over two years, finally landing at the one true “Bakon Vodka”. We start with a superior quality potato vodka. Distilled from potatoes, it is smooth, slightly sweet with the well-rounded flavor that you only get from a quality potato distillation, with no strong burn or aftertaste. Our vodka is column-distilled using a single heating process that doesn’t “bruise” the alcohol like the multiple heating cycles needed to make a typical pot-still vodka. Getting the perfect savory bacon flavor took us a while to get right too. We wanted it to have the essence of a delicious crisp slice of peppered-bacon. After numerous recipes and a lot of testing, we got it right. And we think you’ll agree. This ultra refined sipping vodka, pays tribute to the goddess of grains herself. Made from premium grains, possessing a distinct flowery nose and deep long finish. It’s always best when served neat. Our master distiller suggest this serving style, to allow for the unique refined quality’s of Ceres to be savored and enjoyed to the fullest.